Please note: We are currently sold out of this strap in 18mm. We have other options here. Beco Technic extra thick matt brown calf leather watch strap, with decorative screw / rivet, white stitching and a rugged appearance.This strap will fit any watch where the distance between the lugs is 18mm, 20mm, 22mm, 24mm, 26mm, 28mm, 30mm or 32mm (depending on the strap you buy). Like all of our products, it is brand new and in stock in the UK, ready for our super fast shipping. 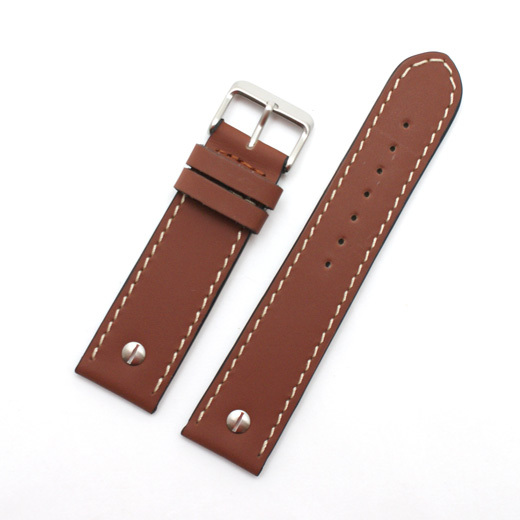 A really lovely, high quality (hand stitched in Germany) watch strap and amazing value, this genuine Beco Technic calf leather watch band has a comfortable feel with a soft lining and a stainless steel buckle, making this a perfect choice for any watch from mid range to prestige, especially big, chunky watches. 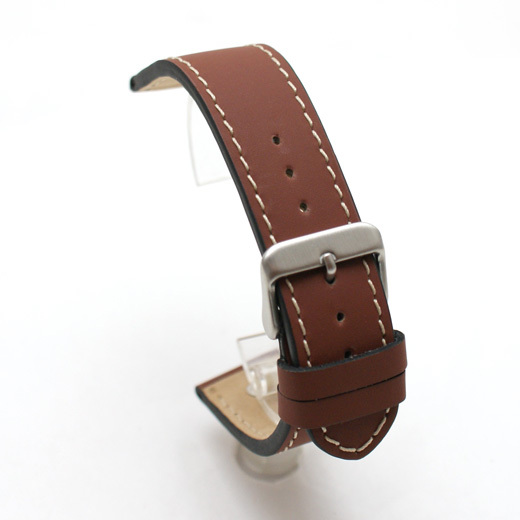 Customer feedback on this item: "Great quality item. 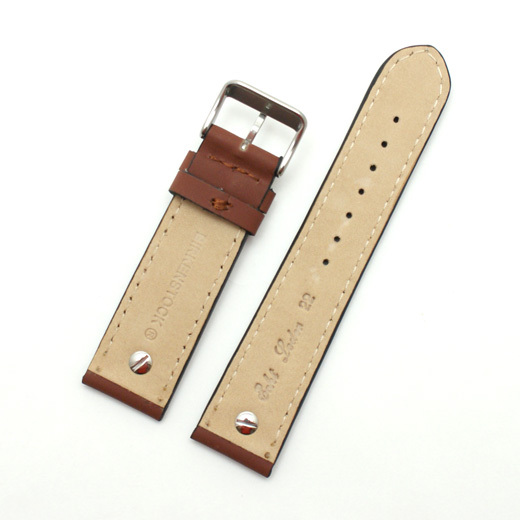 ": "Really nice strap"; "Lovely looking strap"